I read this very inspirational post on one of the many blogs that I watch now. The point of the post was, why do we paint, we must know the intention to bring about the desired image we are seeking. Well, this had me thinking, why do I paint, why spend valuable time alone in a basement with a brush in hand attempting to capture on paper, what is already there in photos or in life. Well, I suppose this answer is different for everyone. I know since I have started to paint daily, I am so much more motivated to wake up, to get my clean water and paints around me and start painting. 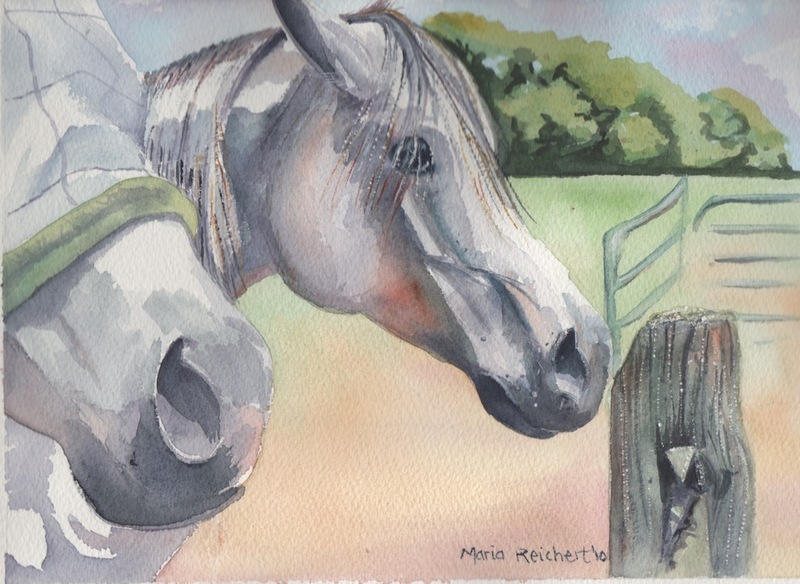 Mostly, I paint animals, more specifically horses. To me, there is something, so peaceful in these paintings, something quiet and powerful and calming. This brought my thoughts to the connection we have to animals and the effect that they have in our lives. Well, there it was.....the answer. I have spent most of my life sharing this connection with animals. As a young child, I could and did spend most of my time in the barn, with the horses, cats, dogs, bunnies.....and one ornery old goat, who didn't like me much. Nestor. Always, the animals were easier than people (even Nestor). Well, I grew up, graduated from college as an Animal Science major, spent four years in Veterinary School, owned a veterinary practice for several years. Every day there was the relationship of people and their pets. So many stories there to tell, but the point is that animals, dogs, cats, horses, rats.....they help their people cope from day to day, they bring acceptance, peace, laughter, touch to a fast paced world that lacks these things on a daily basis. I paint these scenes because it brings back that relationship which has always been in the background of my thinking. I relive that bond every time I see and paint that connection. I have painted other beautiful things and will continue to try new things every day, but it is that bond that reaches out to me, which takes me somewhere else, it always has. As I think about the future, I am not sure if I will practice again as a veterinarian, I have been away from it for many years, but in the mean time, this helps me to remember why I have traveled the roads which I have. Thanks for listening, and prompting me to think things through, I have learned so much since I have started this blog, and started to follow your blogs. Oh, this is a watercolor, 9 by 12 inches, I have just finished of two Arabian horses waiting to come in for dinner. This is the geldings' field and they believe that it is time for them to come in and were waiting not so patiently for someone to come and get them! And feed them. That's interesting you are a veterinarian. While growing up that was always my answer to the "What are you going to be when you grow up?" question. I chose to attend college at the University of Findlay for Pre-Vet and Equestrian Studies, but chemistry knocked my confidence and I changed my major to Equestrian Studies and Art. Love to hear each artist's take on why they do what they do. Thanks for sharing. We seem to have a lot in common. Gretchen, we have the not so fond of chemistry thing in common too! Organic chemistry was my worst grade in undergrad! Must admit that veterinarians really have little chemistry needs in practice, which was a good thing for me. 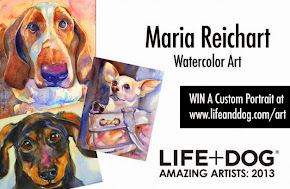 Looking forward to your next art work post, I really enjoy your painting Gretchen. what beautiful paintings and interesting that you're a Vet. I have decided to volunteer this winter in Florida at the riding academy that hosts autistic and disabled riders. I've always loved horse and animals and it's a perfect fit and will be very inspiring to my artistic soul.